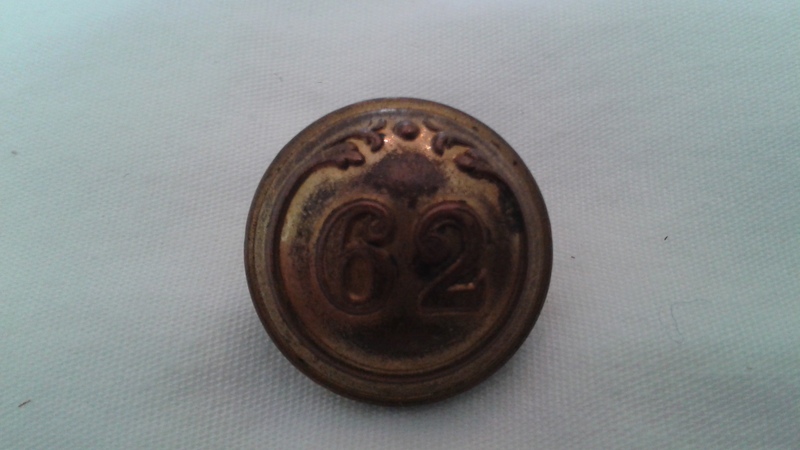 Crimea war period gold gilt officers button for the 62nd Regiment of Foot. Have two makers. Josh Starkey & Co as well as Jennens. Both are excellent condition with rear shank.